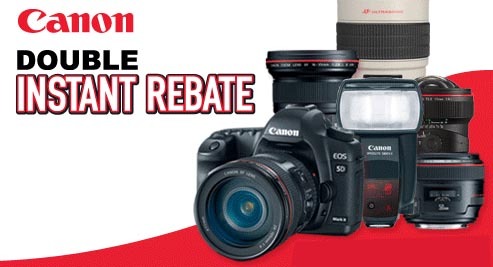 Canon ran some great rebates late last year where you could save big on cameras and lenses. They also offered larger rebates if you purchased a camera and lens together. Well those rebates are back which makes now a great time to pick one up. Purchase a Canon EOS 5D Mark II, EOS 7D, or EOS 60D and take advantage of great discounts or double instant rebates with the purchase of select lenses.